In the world of comebacks, Wanda Jackson reigns. When a then-71-year-old Jackson rolled through Santa Barbara in 2008, she was at the height of her so-called resurgence and filled Velvet Jones to the brim with a hodgepodge of young and old fans, all looking to catch a glimpse of the Queen of Rockabilly. Not long after, though, Jackson got another big break. In 2009, fresh off a festival performance with Jerry Lee Lewis, Jack White came calling, and the rest, as they say, is rock ‘n’ roll history. With the White Stripes frontman in her corner, Jackson took to the studio to record her 33rd — and no doubt most hyped — full-length record. The result, this year’s The Party Ain’t Over, is a heavily orchestrated collection of covers that breathe new life into Jackson’s signature raspy pip. Her take on Bob Dylan’s “Thunder on the Mountain” is of special note and highlights Jackson’s keen ability to move between coy and unforgiving. And her Marilyn Monroe-esque cover of Amy Winehouse’s “You Know I’m No Good” perfectly captures her younger wild child. The Party Ain’t Over also features one of most searing and unapologetic brass sections we’ve heard in recent years. In short, it’s the kind of late-career jump start that White has perfected, and one that a whole generation of music fans stands to benefit from. This Friday, Jackson returns to Santa Barbara for a pre-New Year’s Eve party that is sure to gain her a few more new fans, too. At 74, the pint-sized powerhouse may not be at the tip-top of her vocal game, but what she lacks in chops she more than makes up for in stage presence. As evidenced in her back catalog, Jackson is a feisty force to be reckoned with, and, lucky for us, her spirit hasn’t faded a bit. When it comes time for rockabilly classics like “Hard Headed Woman,” “Let’s Have a Party,” and the dizzyingly great “Funnel of Love,” you can bet Jackson will deliver big. And that alone is something to celebrate. 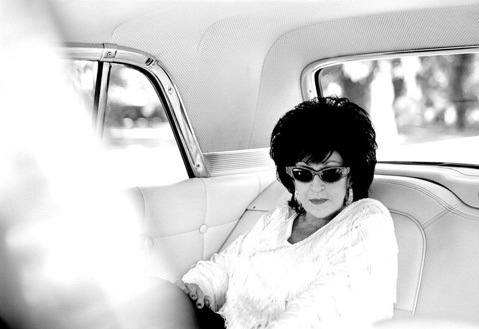 Wanda Jackson plays SOhO Restaurant & Music Club (1221 State St.) on Friday, December 30, at 8 p.m. (ages 21 and up). Call 962-7776 or visit clubmercy.com for tickets.